Home / category-post / Hello Beautiful! One connection Ive made recently is how much chemical crap is in commercial cosmetics and beauty products its truly astounding. Theyve not only been linked to cancer and other horrible, life changing diseases but theyve also been linked to obesity. Youre Saying My Beauty Products Are Making Me Fat? Shocked? Well, its true. Science has now found that the personal care and beauty products you use every day are filled with obesogens! What are obesogens? Theyre chemical compounds that alter your metabolism to favor storing calories instead of burning them. Obesogens also disrupt the hormones that tell your brain when your stomach is full. These obesogens are the synthetic chemicals used in many of our beauty products such as lotion, makeup, deodorant, shampoo, and conditioner that make you fat. Read on, dear friend, read on. Hair thats thicker, stronger and more manageable than you ever imagined. Skin that is as soft as a babys bottom and glistens like youre 16 again! 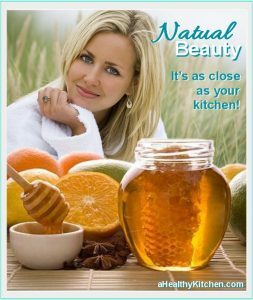 Lots of other tips and recipes for natural beauty. Oh, and theyre all quicker, easier, and far less expensive than picking up your favorite brands at your favorite stores. TAKE THE FAT OUT OF BAKING Seasoned Baked Cod Goals/Progress Diet You Cant Live With It You Cant Live Without It!